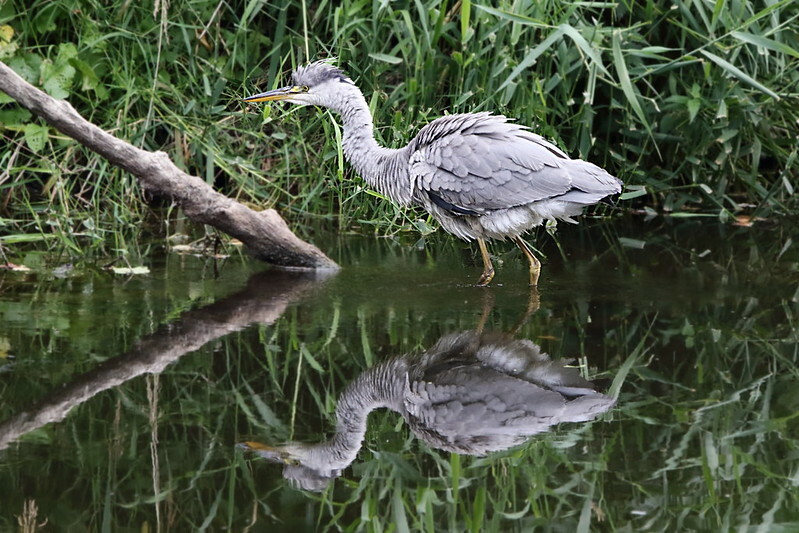 On 11 July 2018 I went for a walk at Denso Marston Nature Reserve along the river Aire with my camera. As usual you can click on any of the images to view them on flickr within the album where you can see more photos of the visit. Before I get around to the Denso photos here’s a couple from our garden. 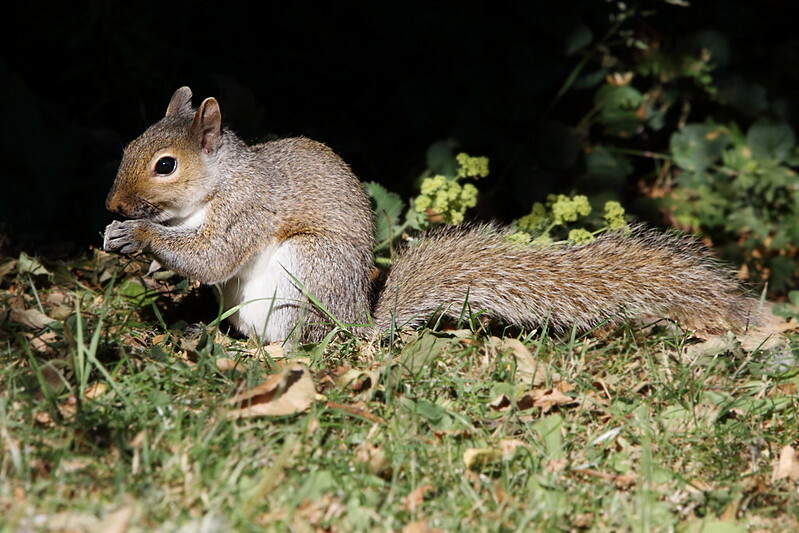 A Grey Squirrel eating some of the the food that has dropped from the bird feeder. 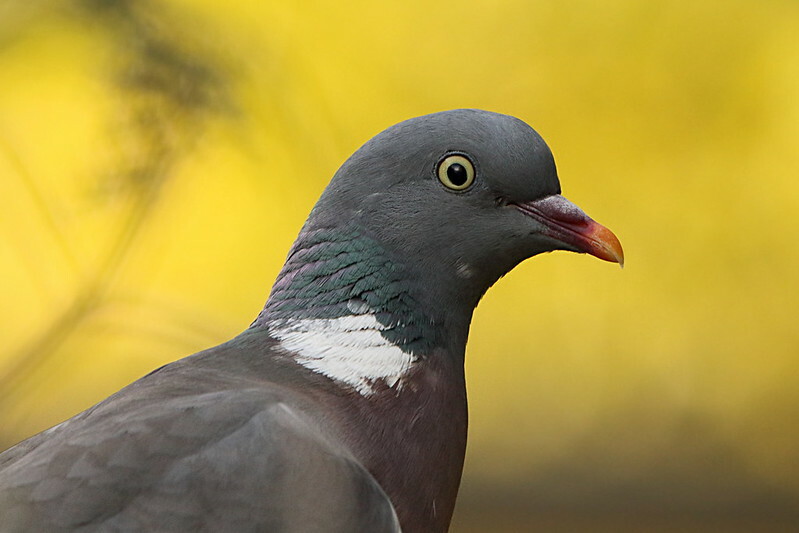 And a Wood Pigeon that feeds in the same area. 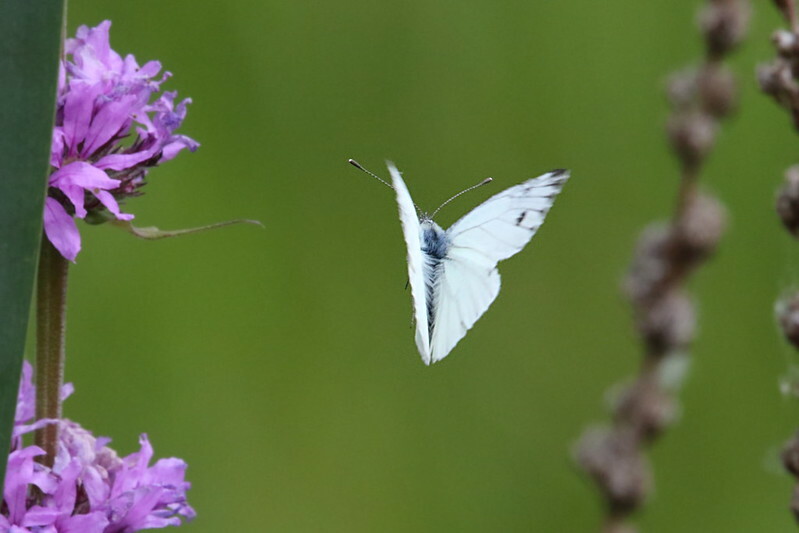 I spent a few minutes by the pond at DMNR watching Moorhen, fish, Damselflies and quite a few Small White butterflies flitting about. 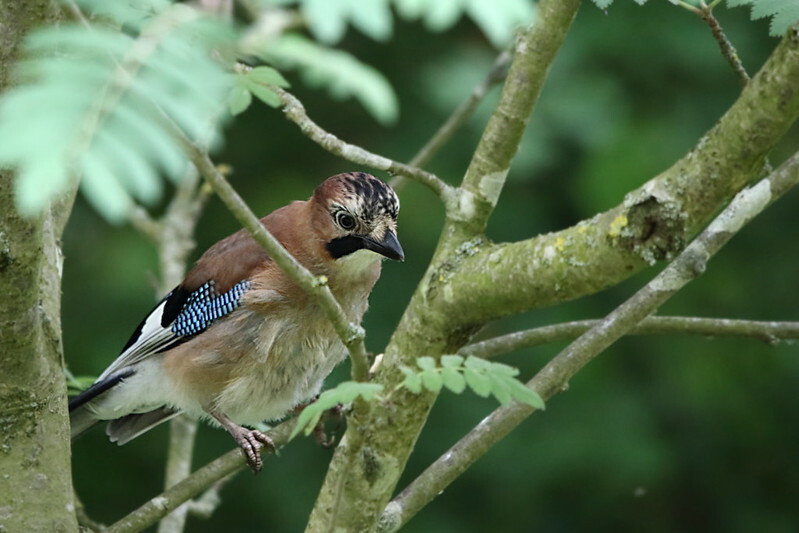 Quite often I see Jays at Denso Marston Reserve but usually they have already seen me and are flying away. Having just been quiet near the pond perhaps this juvenile was not too spooked by my presence. 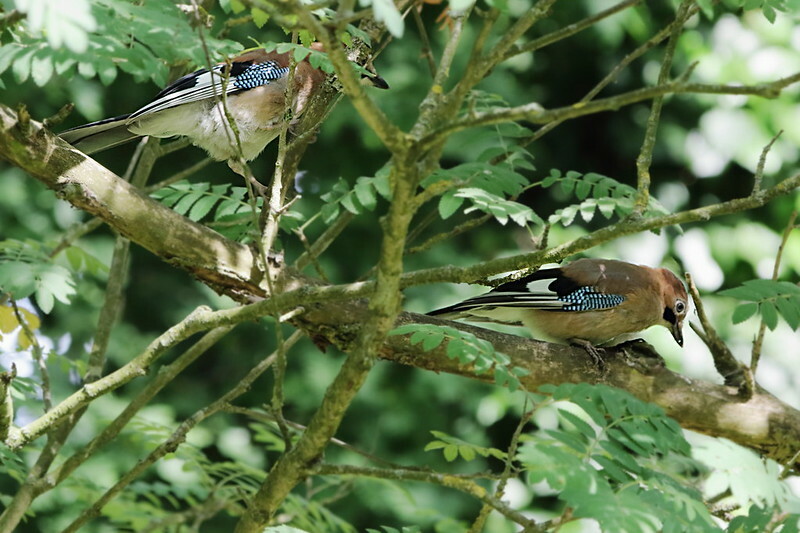 I then spotted two more close by, all the same family I expect. 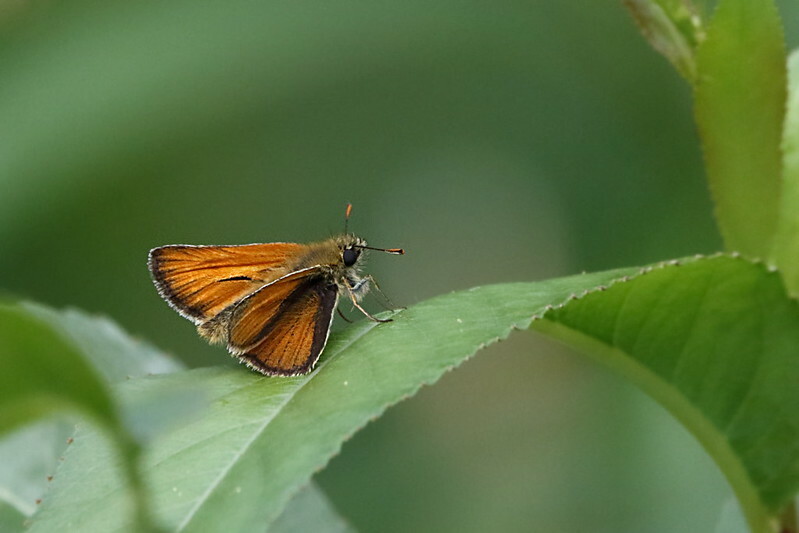 A few Small Skippers were also flitting around the river banks. 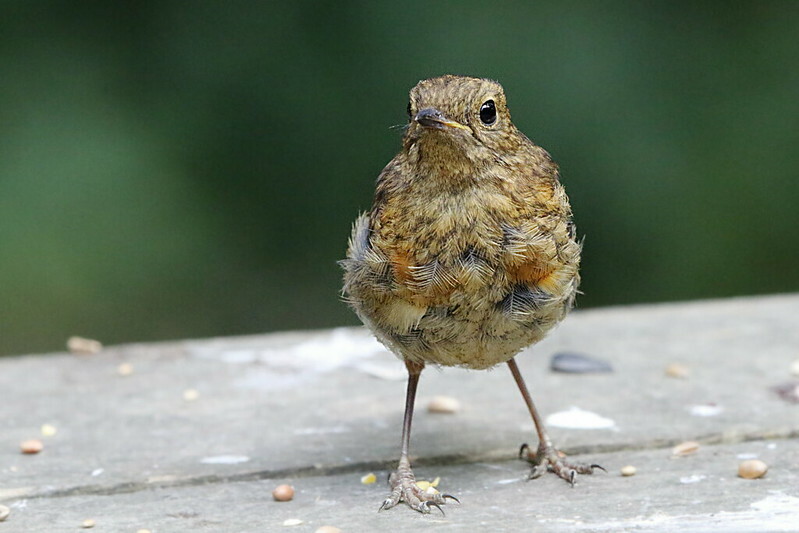 Over on the Spider Club bird feeder were a couple of juvenile Robins. They didn’t seem as wary as the adults. 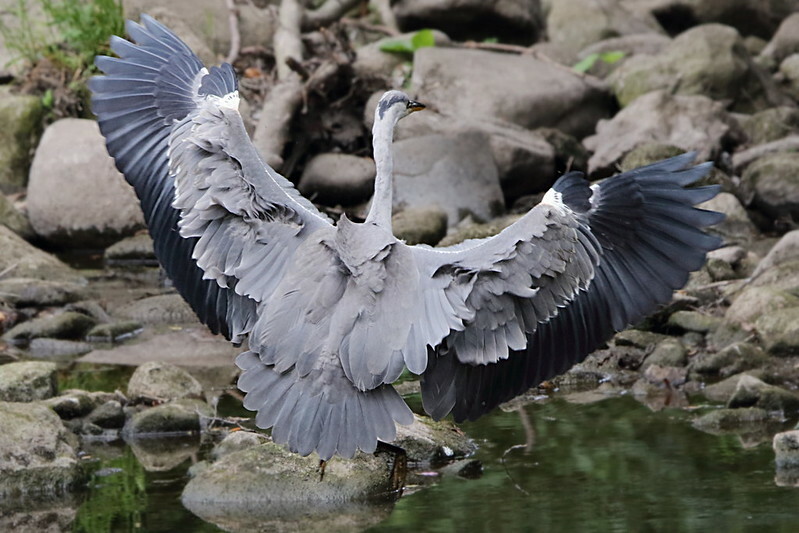 I have hundred of photos of Grey Herons that I have taken over several years but this is the first time I have seen one pretending to be a Swan. 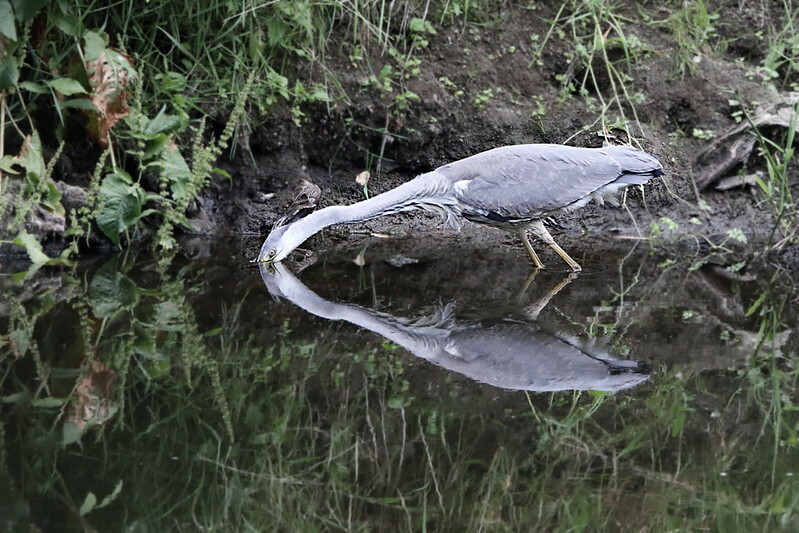 It is possible that it still has its feet on the river bed but it looks unusual for a Grey Heron. It then seemed to give itself a good shake. And started hunting out fish. The stretched out neck and the reflection is good in this. I am impressed that there is no splash or ripple though. 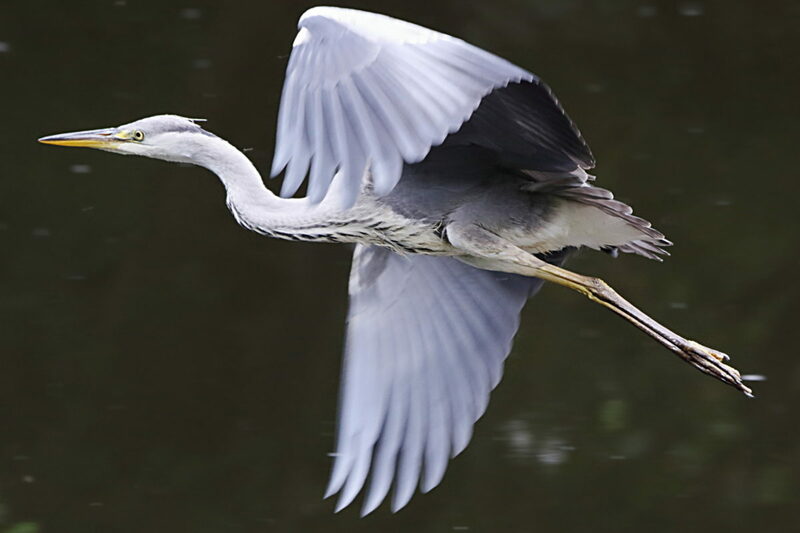 To me Grey Herons look all wings, neck and legs with a tiny body in the middle to hang everything off. 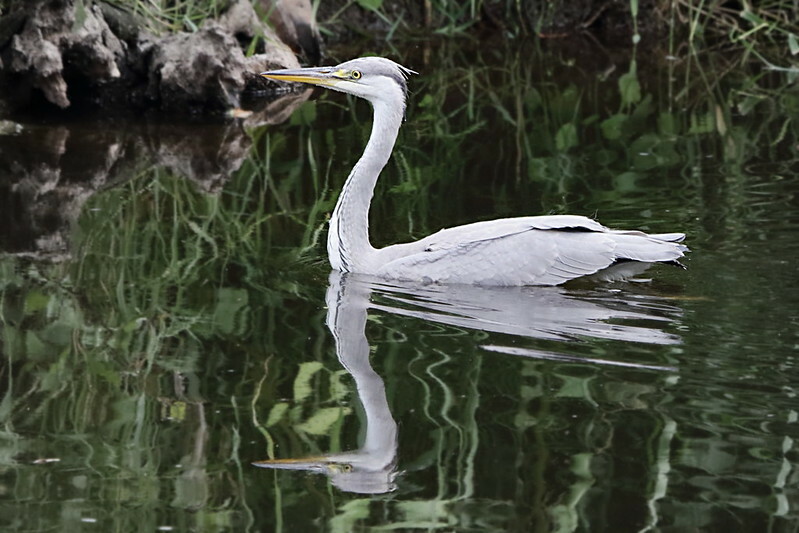 It is amazing that they can get large fish down their throats but even more amazing that there is room for the fish in their stomachs; their bodies don’t seem big enough. This one is just coming in to land and has lots of eddy currents stirring up its wing feathers. 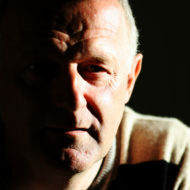 This photo was taken just after the one at the top of this blog posting – the featured image as it’s called – the one that appears on Twitter, Facebook and G+ when the post is shared. There are others, feel free to type “Denso” into the search box.